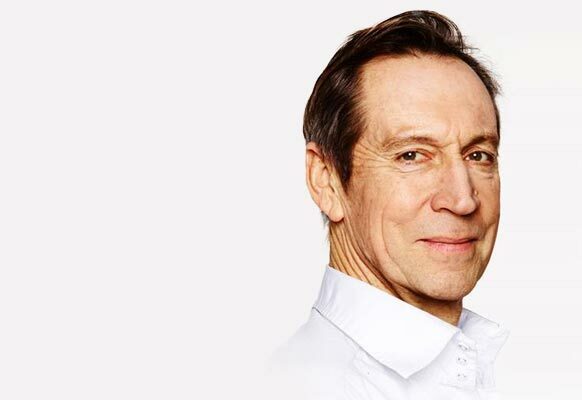 Jonathan Hyde is an Australian-born actor who moved to Britain in 1969. He graduated from the Royal Academy of Dramatic Art in 1972, the recipient of the Bancroft Gold Medal. Jonathan’s first love was, and is, the theatre. He has worked extensively at the National Theatre, the Royal Shakespeare Company, the Prospect Theatre Company, Almeida, Menier Chocolate Factory and the great Citizen’s Theatre Company of Glasgow, among others..
His work at Glasgow earned him an Olivier Award Nomination. Jonathan has also worked extensively in London’s West End, most recently as Lionel Logue in The King’s Speech in 2012. The 1980’s saw an advance into television, culminating in his role as Sir Edward Marshall Hall in the legal series Shadow of the Noose. The 1990’s were the Hollywood Years : Richie Rich, Jumanji, Anaconda, Titanic and The Mummy. Since the millennium, Jonathan has worked in all three media, including a world tour of King Lear and The Seagull for the RSC, and most recently in Travels With My Aunt in 2013 at the Menier Chocolate Factory. Jonathan is a principally a character actor who has played a wide range of high-definition roles, from Lady Bracknell to the Maquis de Sade, Diaghilev to Captain Hook, Valmont to Brutus……..
Jonathan is an enthusiastic swimmer, painter and traveller. He lives in Bath, England with his wife, the soprano Isobel Buchanan.